A loan of $400 helped to pay for his tuition credit at the Institute of Economics and Finance. The man in this photo is Qurbonali. 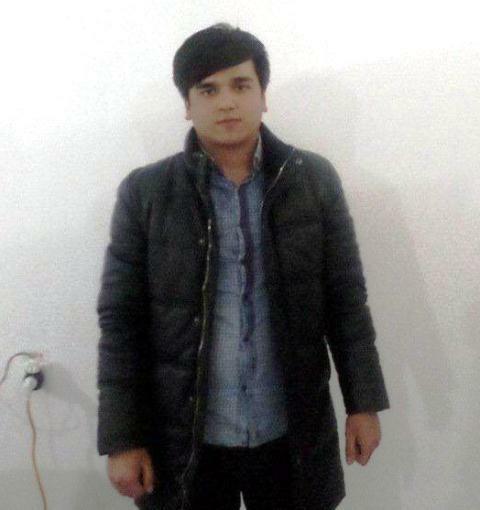 He was born in 1998 into a large family living in Kurgantube, Tajikistan. He is a responsible, cheerful, honest, communicative, and generous person. He graduated from secondary school with excellent grades and passed the entrance examination to university. Recently, Qurbonali has been studying at the Institute of Economics and Finance. He is a second-year-student. He is applying for a 3,500 TJS loan through Kiva's field partner IMON to pay for his tuition. He hopes this loan will help him to successfully finish university and become a professional. Qurbonali is a returning borrower and has a positive credit history. He is asking for a loan for the second time with Kiva’s partner IMON. He is thankful to Kiva lenders for their kindness and support. It allows low-income students to access higher education. This loan is part of IMON's education program, designed to finance school tuition for students whose families have low incomes or work in informal sectors of the economy. Funds can be used for partial or complete payment of expenses related to higher education, and may be disbursed in multiple tranches in order to align with the seasonality of paying tuition fees. By supporting this loan, you're enabling access to education for students with limited options.